At the time I had no idea what it meant. Truth be known I had to Google it. As it turned out, although my friend is not religious –far from it, the saying has its origins in the bible. It basically infers that you care. 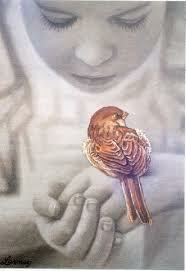 As god cares for mankind he also cares for the sparrow. It doesn’t matter who you are, god is watching over you. Now I am not religious either, I am a confirmed agnostic. But I was touched to know that my friend appreciated that I cared enough to look out for him. Last week I was particularly active on Facebook. So active was I that a friend posted, “My News Feed looks like this Gary Inohoo comment, Gary Inohoo, Gary Inohoo, someone else Gary Inohoo, Gary Inohoo, Gary Inohoo….so much to say Gary Inohoo.” Inohoo is my Facebook name which is a dig at my friend who is a Donohoo. As much as she Dont Know Who (Donohoo), I Know Who. (Inonhoo) Don’t worry, she didn’t find it amusing either. But I digress. Last week I was particularly frustrated at the actions of certain people. My status read, “Never ceases to amaze me that the politics that people play assumes the punter is ignorant… Well I am here to tell you that the punter knows.” This was, in part, due to the fact that the Labor party, having self-destructed, decided that the party line would be “It’s now back to business.” And they repeated this line ad nauseam. Equally the Liberal Party, trying to convince us that Labor was unfit to Govern, kept repeating that it was, “Civil War in the Labor party and only the Liberals are fit to govern.” The lack of respect for the intelligence of the average punter was infuriating! There was also a lot of crap happening in Deaf politics. I hate it when people use double speak. They use this double speak assuming that the Deaf community won’t know the true motives of their actions. These people in the Deaf community, like the Labor and Liberal parties, seemed to assume that the punter did not really know that their actions were purely ones of self-preservation. This underestimating of the punters intelligence pisses me off no end. The punter knows what is going on, a bit of honesty would not go astray. I write this for two reasons. I want to thank my friend for his kind words and I also want to highlight that for the most part people are good. They have their Eye on the Sparrow too. I was fortunate to witness this on the weekend. It is just simple little things really. On the weekend I played Cricket for the first time for ten years and had a wonderful time. The event was organised by the Melbourne Deaf Cricket Club. The Melbourne Deaf Cricket Club is one of, if not the oldest, sporting clubs in Australia. It is 132 years old. It has had its fair share of challenges over the years but it has continued thrive. It has thrived on the back of volunteers for 132 years. Through the sheer hard work of people whose “Eyes are on the Sparrow” this wonderful sporting institution has continued. At the cricket there was also a Deaf Market. Again this was organised by a hardy set of volunteers. It has to be remembered that the Deaf community is constantly under threat. It is under threat through well meaning medical people who see deafness as a tragedy and want to eradicate it. It is under threat from our Deaf organisations that make poor business decisions and unwittingly close down the spiritual and cultural centres of the Deaf community. It is under threat through Urban sprawl and distance. It didn’t end there. On Sunday I went to the movies with my family for the first time in ten years. People who read The Rebuttal will be well aware of the CaptiView saga. While our Government, mega rich cinemas and representatives slogged it out and wasted thousands of dollars two well-meaning people took things into their own hands. They approached a small independent cinema and asked if they could book a theatre and have captions shown on screen so that people who are deaf would not have to use the dreaded CaptiView device. Mothers attended with their deaf children. Deaf people and their partners attended together. Deaf parents with their hearing children shared a movie. Deaf parents with Deaf children shared a movie. In fact two families made a 600 km round trip from Horsham. It was just a wonderful social gathering. All this was made possible because of the actions of two well-meaning people. While we have all been flaffing about and scratching out each other’s eyes two people with their “Eyes on the Sparrow” made it happen. It’s a lesson for me and for everyone. Keep your “Eyes on the Sparrow” and not a lot can go wrong. Thank you to all those people that made my weekend such a great one!